Center partners are the many groups that regularly use the Millers River Environmental Center at 100 Main Street in downtown Athol, MA. They include The Trustees of Reservations, New England Forestry Foundation, Millers River Watershed Council, Millers River Chapter of Trout Unlimited, New England Equestrian Center, Frontier Club, North Quabbin Trails Association, and the North Quabbin Regional Landscape Partnership. 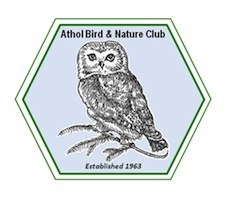 As managers of the Center, the Athol Bird and Nature Club is responsible for communicating with existing and potential partners, managing use of the meeting spaces and offices at the Center, and facilitating collaborative programming. If your organization wishes to meet at the Center please call 978-248-9491 to discuss your needs or to reserve a space. The Center connects visitors with area providers, provides updated program information and free informational materials. Many regional events are listed on the Events section of this website. Visitors can get maps of public lands for hiking or access points for boating, as well as information on lodging and places to eat. The Center’s Natural History Library has extensive references on forestry, birds, and local natural history. Two rooms at the Center have displays of native mounted birds and mammals and samples of locally found rocks and mineral that are part of the Club’s Natural History Collection.